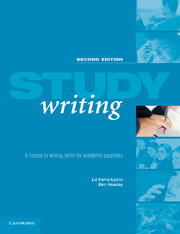 Study Writing is an ideal reference book for EAP students who want to write better academic essays, projects, research articles or theses. * introducing key concepts in academic writing, such as the role of generalizations and definitions, and their application. * exploring the use of information structures, including those used to develop and present an argument. * familiarizing learners with the characteristics of academic genre and analysing the grammar and vocabulary associated with them. * encouraging students to seek feedback on their own writing and analyse expert writers' texts in order to become more reflective and effective writers. This second edition has been updated to reflect modern thinking in the teaching of writing. It includes more recent texts in the disciplines presented and takes into account new media and the growth of online resources. Get your students thinking critically. 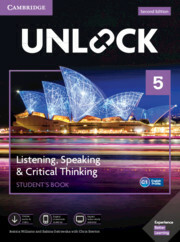 A six-level skills-based English course.